As criminal defense attorneys in Columbus, we’ve dealt with a lot of marijuana possession charges. We also understand there are a lot of factors surrounding those charges. Officer and prosecutor motivation can play a large part in the criminal defense process, especially in drug cases. 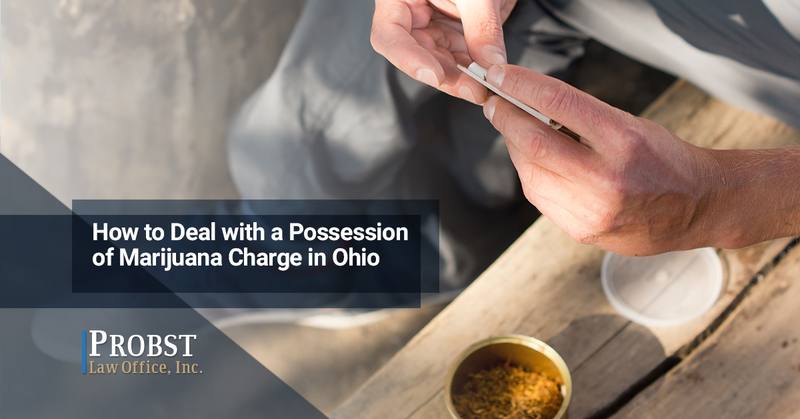 If you’ve been charged with marijuana possession in Ohio, this article is designed to help you understand the process and navigate the muddy waters. Of course, no legal article, blog post, or journal is a substitute for competent legal counsel. What Can Happen with a Possession of Marijuana Charge? In Ohio, you can be charged with a minor misdemeanor offense for possessing less than 100 grams of marijuana — though there are provisions for medical marijuana. While the charge doesn’t sound too extreme, being convicted of this very minor drug offense comes with a mandatory driver’s license suspension — of at least six months and up to three years. This doesn’t even cover the damage that could be done to your employment opportunities. Marijuana charges can tarnish your reputation and lead to harsher sentences in future convictions. As the amount of marijuana you possess increases, so does the severity of the punishment. Law enforcement may also “misunderstand” the situation. Which could place you on the hook for sale or distribution charges as well. In fact, some departments and agencies will seek to charge you with the most severe charges possible. Then, they’ll try to “negotiate” them down. While this seems to fly in the face of the bedrock of justice in this country — innocent until proven guilty — prosecutors and law enforcement are not without their biases and agendas. Without an experienced drug attorney, a simple possession charge could escalate very quickly. The sad truth is, law enforcement will often conduct illegal searches and seizures, violating your constitutional rights as an American. When it comes to drug possession charges, there are few things more important to the defense than to ensure all the facts have been unearthed. This means knowing the ins and outs of Ohio law regarding the actions of law enforcement. It also means understanding the circumstances that lead to the search and seizure and being able to discern whether or not it’s in compliance with Ohio and federal law. An experienced drug attorney will file motions and conduct suppression hearings for their clients who’ve had their constitutional right to be “secure in their persons, houses, papers, and effects, against unreasonable searches and seizures…” violated. So if you’re looking for an experienced marijuana attorney, Probst Law Office is here for you. We take the defense of all drug-related charges very seriously, and we pass no judgment. Our attorney, Michael Probst, understands Ohio marijuana laws inside and out. For your free initial consultation call 888-223-3741 or fill out our contact form with a brief description of your legal issue. We’ll get back to you as soon as we can.